—The Freedom of Things: An Ethnology of Control by Peter Harrison—a ‘must read’. Get your copy now, click here! –Announcing the new streamlined TSI Press. Now accepting book proposals that meet our mission. Click here. –We are soliciting papers for the Journal of Social Justice—a free online peer-review journal. Call for papers, click here! 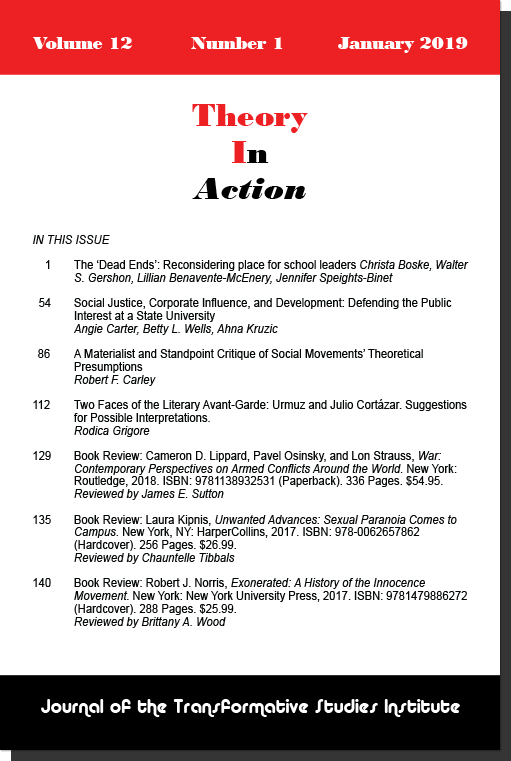 –Support the flagship journal of critical theory and praxis: Theory in Action. Ask your library to obtain a print subscription-get one for yourself too. Click here.